The following SOS Loudoun endorsements of candidates have been determined based on the candidate participation in the LEAP Forum, the Loudoun County League of Women Voters Forums, and the survey responses to the Loudoun Times Mirror and the Loudoun County Chamber of Commerce. These candidates, in our opinion, place public education as a high priority and have the criteria needed to believe they will be successful. Candidates with an * have also been endorsed by the Loudoun Education Association. Four years is a long time to live with a decision. If you already know which candidates you are voting for on November 3rd and you know that they support awesome public schools, then read no further. Candidates respond to two surveys. There are two resources that reveal exactly where candidates stand on the important issue of public education. The Loudoun County Chamber of Commerce questionnaire ( here ) and the Loudoun Times Mirror questionnaire ( here ). Candidates for both the Board of Supervisors and the School Board participated in these surveys. Incumbents of the Board of Supervisors are eager to share that school funding has increased by as much as 29% since 2011, which is a view through a cracked door. Broad Run School Board Candidate Joy Maloney offers a wider view in the Mirror survey stating that, “Our current per pupil spending is the second lowest in Northern Virginia and lower than it was in 2009.” The Washington Area Boards of Education (WABE) Guide (here) shows the comparisons of neighboring school districts and the LCPS website provides the past funding history and cost per pupil. Eugene Delgaudio (Sterling District-R) is focused on bricks and mortar capital improvements with no mention of what happens in the classroom. In the questionnaires, Dulles District Incumbent Matt Letourneau (R) says that he supports public education. Yet, as chair of the Board of Supervisors finance committee, Letourneau has already supported the committee’s 2017 fiscal guidance using two scenarios, an estimated real property equalized tax rate ($1.115) and the current real property tax rate ($1.135). The Board of Supervisors adopted the fiscal guidance on September 18th. County government staff has acknowledged that the equalized tax rate does not even cover the cost of core services for the approximate 11,000 anticipated new residents. The 2017 budget climate includes an increased county population, an increased school enrollment, and a likelihood that the $10 million in surplus funds used last year to fund the schools will not be available again. Will an equalized tax rate scenario or a current tax rate scenario provide core county services without reducing them? Will these scenarios provide continued smaller class sizes, universal full day kindergarten, foreign language in elementary schools, increased STEM opportunities, programs in the arts and humanities, greater transition opportunities for students with disabilities, improvied teacher compensation incentives, or expanding technology initiatives? There’s more to learn from these questionnaires. Supervisor Suzanne Volpe (Algonkian District-R) and School Board member Debbie Rose (Algonkian District –R) did not participate in the Mirror’s survey. Many candidates for the Board of Supervisors are critical of the dated county comprehensive plan that has not been revised since 2001. Even the incumbents running for re election are critical that the comprehensive plan is 15 years old. At least they acknowledge the importance of a current plan but it was not important enough to update it these past four years. Candidates supporting school funding. You can find out how strong your Board of Supervisor candidate supports school funding by going directly to the question in the Loudoun Times Mirror survey that asks, “Do you favor possible increases in the county’s tax structure to finance the growing cost of education and building more schools?” The Chamber’s questionnaire has a very similar question. Take a look. In elections, actions speak louder than words. Let’s vote with our feet on Tuesday, November 3rd and put leaders on the Board of Supervisors who will put our children first. Let’s elect School Board members who will advocate to receive funding for the school budget. 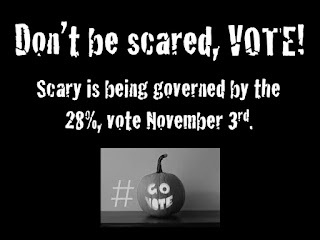 Get the word out to get the vote out. Use your voice. Vote November 3, 2015, for our schools. Elect a Board of Supervisors and a School Board who will make public education priority #1. In elections, actions speak louder than words. Get out the vote. Chair for the Board of Supervisors Forum. What Did They Say About Education? The meet and greet for candidates seeking the office of Chair for the Board of Supervisors was held on October 6th at the NVCC Loudoun Campus. Participating were Thomas E. Bellanca (I), Charlie L. King (R), Phyllis J. Randall (D), and Incumbent Scott K. York (I). The event was hosted by the League of Women Voters of Loudoun County. It was clear that both King (R) and Randall (D) will make full day kindergarten a top priority. Bellanca (I) noted that the budget issue of $60 million was important, that it should be done right from the get go, and that it took Prince William County five years to implement full day kindergarten. What he did not say was that full day kindergarten was a top priority. York (I) stated his support for full day kindergarten but that it would not happen short term while we continue to build schools to keep up with growing enrollment. York said that there is no room for full day kindergarten in the Capital Improvement Plan (CIP). To learn more about this forum, refer to the local media who covered the event, including The Washington Post, Leesburg Today, and the Loudoun Times Mirror. York (I) said in the opening remarks that, “Elections are very important. 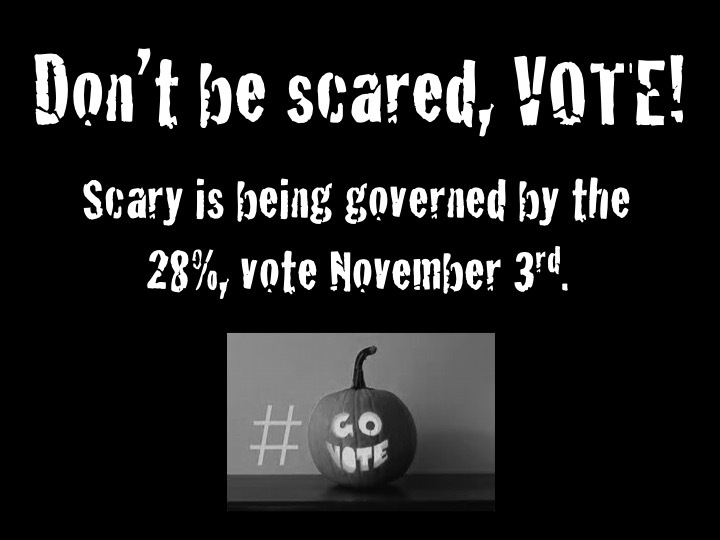 There are consequences for who we vote for.” The election is November 3rd. You may file for an absentee ballot up to 5 pm the Tuesday before the election. For information about voting, go to voter registration and elections. Enclosed you will find a transcript of the candidate opening remarks references to education as well as the responses to the question concerning education. In this election, I’ve been endorsed by the Loudoun Education Association PAC. I’ve been endorsed by the Loudoun Police and, today, I found out I got the endorsement of the Loudoun Firefighters. So the people that serve you, that serve your families, that serve children have asked me to serve as your chair. I am so honored by those endorsements. I will be talking tonight about education, transportation, jobs and the economy, and transparency and ethics. I’m going to talk a lot about education and transportation, mental health, and ethics. I campaigned on better planning that creates funding for our schools, better economic development, funding a list of priority projects in the county for transportation. I was also involved in getting the badly needed funds for building the high school and middle school in Dulles South, which was a crisis situation. I campaign for supporting our schools, to help improve our schools. In the last four years … we have been able to increase the dollars to education by nearly 35% from where they were when we came in. We have had three years where the funding per student has gone up out of those years and we were able to successfully this past budget session be able to fully fund the schools request. With the push for full day kindergarten and the opening of the academies how will you balance the school needs with the tax bills? Do you see teacher raises, smaller class sizes, elementary school foreign language in the future? I’m so glad we started with this question because all four of us have talked about our support of FDK. What you might not know, is that in the General Assembly this year, Chairman York went down to the General Assembly and lobbied against full day kindergarten. It was House bill number 2302. I actually have the date, the time, the bill, the committee, the patron, the co-patron … I have everything but the restaurant Mr. York took the lobbyists to when he lobbied against full day kindergarten for Loudoun County. And I really would wonder if he spent taxpayer dollars doing that because if he did, I don’t call that actually effective use of taxpayer dollars. In addition, before anyone says that the School Board has not asked for full day kindergarten funds, in 2011 in an off year, off budget, the School Board actually asked to put aside $5 million dollars to start the study for full day kindergarten in the CIP. But it was not done. So, if you hear that the School Board did not ask for it, also, not an accurate statement. You know every other county in the commonwealth has a plan for full day kindergarten. So this is not rocket science. As chair, you lead. How do you lead? Well, one thing you do is go and talk to the other chairs, the superintendents of the schools and say, how did you do this? How did you get full day kindergarten in your county? And you figure that out. Budgets of every time are always about priorities. This Board prioritized a firing range for $20 million dollars when they could have spent $5 million less dollars. They didn’t prioritize schools with full day kindergarten; they did not prioritize our students. I will. I would say that education is Loudoun County’s top priority. I can’t sit here tonight and tell you what specific budget item lines I’m going to support, not support in the future. What I think has to happen and has not happened in the process is I think there has to be a much greater dialogue between the board, the staff and the school board long before the budget process goes. And there has to be more flushing out of issues and more dealing with issues and better communication than there has been in the past. I think in these days, I agree with Ms. Randall, I think that full day kindergarten is a necessity. It’s something I called for very early on. What concerns me is there is not even, at the moment, not even a plan to put kindergarten in place. If I’m chairman, the first thing that I’m going to do, is I’m going to write a resolution that asks the School Board, because all day kindergarten is a program issue. The Board can’t order the School Board to add kindergarten. It can simply suggest that it do a plan and work with the Board to fund that plan. That’s something that I see as a priority. I think it’s a priority if we want to attract young families to Loudoun County. I think it’s a necessity; we are one of only three jurisdictions in the state that don’t have it. The reason is that somebody built the schools to small. We don’t have the classrooms. I think we have to do this now because I don’t think it’s going to get less expensive and I don’t think it’s going to get easier later. I’m not running because I want to put off the hard decisions. In December, one of the parents who runs the all day kindergarten program, the quest for all day kindergarten, which there’s numerous parents that are involved this process …. Held a conference with the new superintendent of the schools, which I attended. And at that conference it came out that we were the last jurisdiction in the state besides Virginia Beach, which is a city, the last county in the state that doesn’t have all day kindergarten. And I specifically asked the question, ‘Well how long will it take to get it?” The example that was given was five years which is what Prince William County did. It was one of their glowing achievements that they will always hold up that they made this happen. I think that the budget issue is an important one. There is going to be some $60 million dollars that’s going to have to be spent on capital improvements. I don’t agree with some of the comments that I’ve heard about putting trailers up to have it done the first year. I think it makes more sense to do it right, build the classrooms the way we need them, and again this is a planning issue. There’s also going to be tremendous pressure in the next few years because of the population increase in the middle schools and high schools. So, it’s also going to be a priority to make sure that we complete this new high school that’s going to compete with the Thomas Edison (Jefferson) school in Fairfax. What Mrs. Randall did not tell you is what the testimony was when I was there. The fact of the matter is that I did not speak against full day kindergarten. What I spoke against was the unfunded mandate that was being requested by the very delegate she speaks of. Not only did the Board of Supervisors vote opposing it, so did the School Board. Why? Because we knew at the time, from when Dr. Hatrick was in office, that it would cost us about $60 million dollars to implement. We are building school after school. We are still growing by 2400 students a day (year). Education is important, it is the priority. 69 cents of every dollar goes to our children. And as soon as the School Board comes forward with a plan, and now we are looking at $100 million dollar bill to go 100% of all students in full day kindergarten. I support full day kindergarten, but I also support having a fiscally viable healthy county. And you have to put it and implement it in a way that protects your county. Right now there is no room in the CIP to create the room for an all day kindergarten because we are building school after school just to keep up with where we are at. And ladies and gentleman, as soon as we are able it will happen. But right now, because of growth, we are really kind of behind on the number of schools needed, barely keeping up. The schools we build now are actually the largest schools in Northern Virginia for elementary schools. Remember that the candidates for the Board of Supervisors who attended the September 28th and the September 30th Loudoun League of Women Voters’ meet and greets all said that they support full day kindergarten. On November 3rd, take note of who has been elected and hold them accountable for supporting FDK during their campaign if you want to see that accomplished. While answering the questions on that, they also talked about some of their views of Loudoun’s public education in general. This post covers the September 28th meet and greet for Ashburn and Dulles candidates and the September 30th meet and greet for the Blue Ridge, Catoctin, and Leesburg district candidates. Incumbent Matt F. Letourneau (R-Dulles). Absent were Tony R. Buffington, Jr. (R-Blue Ridge) who did not respond to the invitation and Geary M. Higgins (R-Catoctin) who had a conflict. Leesburg Today covered the Ashburn/Dulles forum here and you can read the Loudoun Times Mirror coverage of the Blue Ridge/Catoctin/Leesburg event here. The final LOWV meet and greet will be held on Tuesday, October 6, 2015, for Chairman, Board of Supervisors with Thomas E. Bellanca (I), Charlie L. King (R), Phyllis J. Randall (D), and Incumbent Scott K. York (I). This will be held at 7 pm in conjunction with NVCC in the Waddell Theatre on the Loudoun campus. It's open to the public and free to attend. The Loudoun Chamber of Commerce is also holding a Supervisors candidate forum on Wednesday, October 7, at 8 am at the National Conference Center in Lansdowne. For more information and to purchase tickets, click here. While the only education-related question asked at each of the September forums was on the topic of full-day kindergarten, the candidates also talked about education funding in general. Check out the excerpts of their responses below to give more insight into who would support our schools. Question: Dr. Williams has put forth a plan in which he can get half of kindergarten students into full day kindergarten over four years at a cost of $35.5 M. Previous estimates have come in for Universal full day kindergarten for $52 million. Is the plan proposed by Dr. Williams aggressive enough and will you push supervisors to fund it? Turner (D-Ashburn). The short answer is no, it is not aggressive enough. LC right now is the only county in Virginia that does not have a plan for full day kindergarten. We are the only county in Virginia right now that does not have at least 50% of it’s students in full day kindergarten. We are one of like only 3 counties total in Virginia that don’t have full day kindergarten. The benefits of full day kindergarten are manifest. The was a study by the University of Virginia in December that clearly demonstrated for the first time an evidenced based conclusion that FULL DAY KINDERGARTEN has a lasting effect through all of primary education. I cannot understand frankly why for the wealthiest county in the United states for six or seven years running is not able to do what every other county in Virginia has done, which is plan for full day kindergarten. This Board has underfunded education for the last 3 ½ years by $95 million dollars. They will tell you they have increased funding by 15 to 20 30% the number varies. But when you‘ve got a glass that is empty and you add a 10 or 15% percent of water to it, it is still fundamentally an empty glass. We need to fully fund education. And we certainly don’t need to underfund education because of an artificial, government imposed reduction of property taxes that creates artificial budget crisis every year, the primary impact of which falls on education because let’s face it, for the last four years education, public education in this county has not been a priority for these supervisors. Buona (R-Ashburn). I took the public position almost three years ago that I fully support full day kindergarten. And there are those who have said otherwise, but I have documentation to show that I took that position three years ago. I put this at the top of my list with the LCPS. We have an issue of operating costs versus capital costs. The operating costs we could easily handle within the current budget, there is no doubt about that to go to full day kindergarten. I agree, I don’t think the plan is aggressive enough either. I’d like to see us move faster to get this done. I’ve talked to Superintendent Williams about it, I’ve talked to the chairman of the School Board about it. And they are working that plan. That said, we have a capital problem. That is, we have schools that can’t accommodate this. So one of my suggestions has been, lets go to the principal and teachers in every single elementary school and say, “If we can fund full day kindergarten today, how would you make it work in your school? Could you rearrange things in your school? Do you need modular trailers for a period of time until we can build?” I mean, there’s a hybrid of approaches, lots of approaches we can take here. We can handle the capital costs because the capital costs are probably in the neighborhood of $60 million. And it’s a lot of elementary schools we need to add on to. So, can we do it right away? I believe we can from an operating perspective. We are going to have to be creative though, on the other side of that. When we took office , the average spent per student was $11,000. This year, the average spent per student in this county is over $12,700. So I would say we have taken this in the right direction over the past 3 ½ years. We have significantly increased the school budget over what the previous board did. Thank you. Letourneau (R-Dulles). So I’m the only person up here who has two children who have not yet entered full day kindergarten. So this is not just an academic discussion for me. I’ve had two that have been through ½ day and two that are entering kindergarten. So, I understand the stakes here and they personally effect me and we absolutely do need to move toward a system that has full day kindergarten. That’s not what I’m debating. But what nobody up here is discussing is what they are going to cut from the capital budget in order to make it happen. And that is why this is a concern. Unlike others, I don’t sell Dr. Williams short and I don’t sell the school board short. I know that they take this problem seriously and I know that they are addressing it. The plan that was just introduced just came to the school board about a month ago. So I do want to give the school board some time to work on it. That’s the way our system is supposed to work. The school board makes a proposal and then the Board considers funding on it. Will I do whatever I can to actually fund it? Absolutely. But the reality is, particularly in this part of the county, our elementary schools are at capacity. And you’d have to double the number of sections of kindergarten in order to make way, make room for full day kindergarten. I am not willing to put 35 kids in a classroom at every other grade level for full day kindergarten. I am not willing to cancel the Advanced Technology Academy project, our STEM focused high school in order to do full day kindergarten. And what we have not heard from any of the other candidates running on this platform is any kind of detail whatsoever about what they are taking out of the capital budget. Because, make no mistake, something will have to come out of the capital budget as Supervisor Buona said. Now we have funded the schools with a 29% increase versus 15% enrollment. We were playing catch up from the previous Board of Supervisors, which was not controlled by my political party. But we went through some tough times in Loudoun. We have done so in a sustained way and we have found a relationship with the new Superintendent where we are able to increase the budget $70 million dollars the last two years. One year it was fully funded one year it was not. But the budget increase was $70 million dollars for both years. Now, I’ve heard a lot of feedback about what goes on in our schools. Question. Is all day kindergarten a high priority for you and your constituents? Tony Buffington (R-Blue Ridge) and Geary Higgins (R-Catoctin) did not attend. Umstattd (D-Leesburg). Yes. For better or for worse, we live in a county where families, both members, the family, have to work full-time, and they have to commute and have to work long hours. And we all wish that were not the case, but it is. They need good full day kindergarten for their children. I wish we could all you know just be home with our children all the time. And I know we all want to be there, but the realities of trying to make a living in Loudoun County are so difficult. We need our children to be in safe places and we need them to have the best learning opportunities that they can. My constituents are in favor of full day kindergarten and I think we need to come up with a way to fund it. We need to fully support our public schools because, you may or may not have children in public schools, but if we let our children fall through the cracks, who is going to support any of us when we get to old to work ourselves? It’s the reality of modern America and I think our children deserve the best that we can give them. Estrada (R-Leesburg). My wife Rachel and I have a three year-old Dominic and like many of you, like many of your children, or taking care of your grandkids you see that full day kindergarten that would be offered by the schools would be an incredible benefit to all us. So, I think that all of us support full day kindergarten in theory but a politician will say on day one, “I am going to give you full day kindergarten.” As a steward, as someone seeking your vote to be a wise steward of your resources, while I support full day kindergarten, there are several priorities we need to make sure that we have first before we implement it in our county. Again, it’s being implemented partially, so I think the question is whether we do full day kindergarten instanteously. We need to make sure first that our teachers are receiving the pay that they deserve. My dad spent 34 years as a special education teacher in a New York state public school. He’s still substituting now as a Spanish teacher. I have friends who are teachers here in Loudoun County, some of the hardest working men and women you will ever see. We are not paying them enough money. Let’s hear it for our teachers. The other thing we need to make sure is that our classrooms are not overcrowded. While I support full day kindergarten, I was personally intrigued by the story by Danielle Nadler in Leesburg Today, September 30th, where she wrote, ‘Loudoun’s high schools boost graduation rates. …. The first priority we have on the Board of Supervisors and our school board is to make sure that our schools are the best in the nation. I will support our schools and we will look at ways to bring in full day kindergarten. Jimmerson (I-Blue Ridge). I actually do support full day kindergarten. I’ve knocked on hundreds of doors over the last couple of months, it feels like thousands of doors over the last couple of months and I’ve asked people what was most important to them. And the main things that I’ve heard was education and roads. They are really worried about traffic. They are really worried about education. And more times than not, I’ve actually heard people talk about full day kindergarten. They’ve pointed out that we are one of the few counties in the state that does not have full day kindergarten and they think that that is absolutely ridiculous. Some of them are actually going to kindergartens in other counties or they are paying for private school for kindergarten so that they can have full day. I think that we need to align ourselves with the other counties in the state, we need to have full day kindergarten, and we need to do what it takes to make that happen. I would like to echo the comments that were made about teachers not having what they need to do their jobs in Loudoun County. Many of the teachers that teach my children in elementary, middle, and high school do not live in Loudoun County, they live in West Virginia, they live in Winchester, they live in other areas and we need to do something about that and I think it is about time that we did. I want to also note that I do have a recommendation from the LEA (Loudoun Education Association). I will be a very strong advocate for the schools as a Loudoun supervisor. Green (D-Catoctin). This topic alone is worth another hour of conversation. Philosophically, we are all in favor of full day kindergarten. … We spend a lot of money on buildings and hardware in this county, but we don’t spend enough on the teachers that fill them. … What can we do to get those capital costs down …. Whatever we can do to get good well paid happy people in less expensive buildings would be a much better thing for Loudoun County.